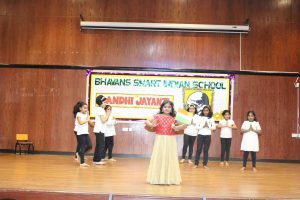 Bhavans Smart Indian School celebrated Gandhi Jayanti with great fervor and variety of functions which were organized in the school premises on 2nd October 2018. 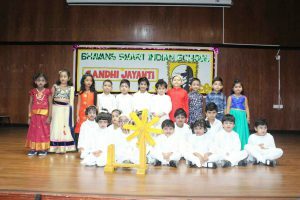 The day started off by paying floral tribute to the bust of Gandhiji’s portrait with the choir rendering his favorite bhajan, “Ragupathi Raghava” and the veena rendition of “Vande Mataram” by the senior student of the school. 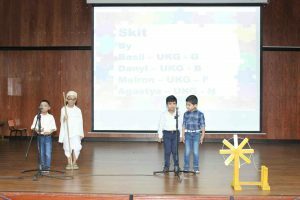 The day moved in with the decoration of bulletin boards of all classes from grades 1 to 9 and the best were also selected by the jury to award the class with the prizes. 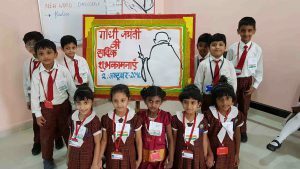 The bulletin board comprised of quotes, images and articles written in the honor of Mahatma Gandhi and the commemoration of 150th Birth anniversary of the father of our nation. 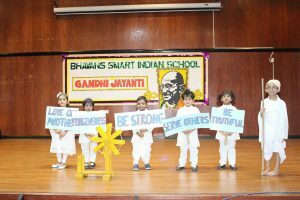 The beautiful tiny tots of our smart School involved in many awe-inspiring activities to highlight the noble thought of Gandhiji and the perpetual message of unity and peace that impacted the whole nation. The children began the celebration by getting into the art of artistry. They were given the coloured badges to pin them on the shirt to denote the value of oneness. 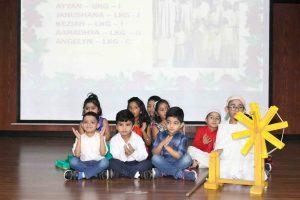 The junior and senior wing of Kindergarten made themselves seen in the skit that referred to the faith in Almighty. 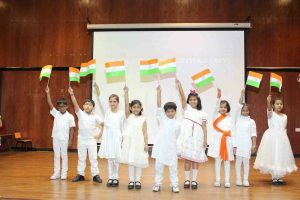 The catchy slogan shouted by the kids saying, “Free India” echoed and resembled the real procession to go back in time. 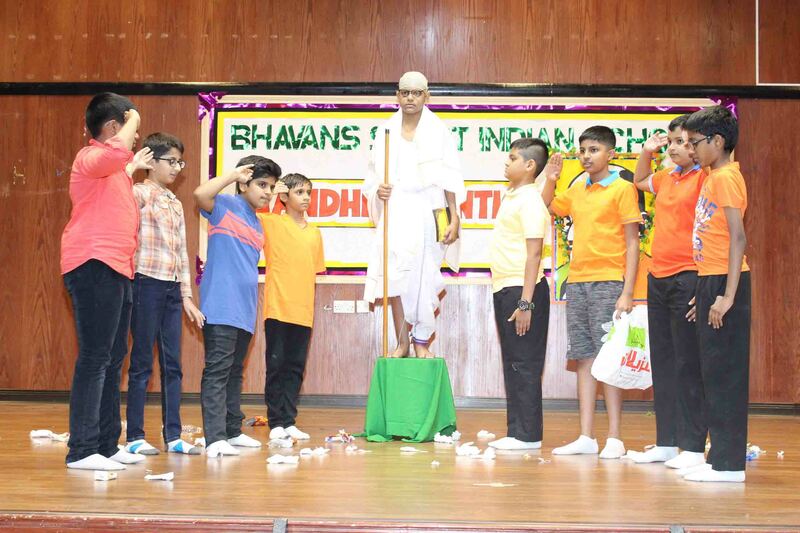 The beauty was also enhanced when they sang Gandhiji’s famous Bhajan, “Raghupathi raghava raja ram”. 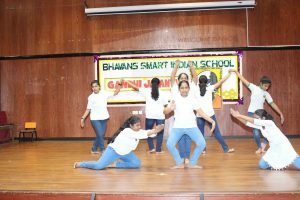 The clarity and the organization of the students led the audience to applaud them continuously. 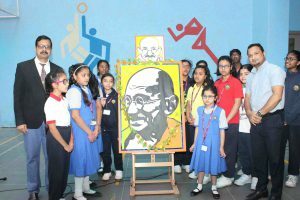 The students enthusiastically participated in the adornment of the notice boards in the forms of penciled portraits, handwritten quotes and colorful imageries representing the glories of Mahatma as well as the dream he anticipated to see India as the cleanest nation under the name “Swachh Bharat”. 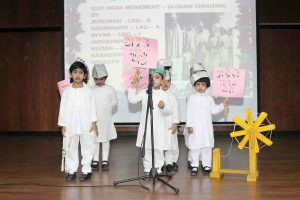 The grades 2, 3 and 6 had their special assembly in the auditorium prepared and organized by the respective class teachers. The celebration went in the usual way with the Kuwait National anthem followed by the recital of Holy Quran with the succession of many programs. 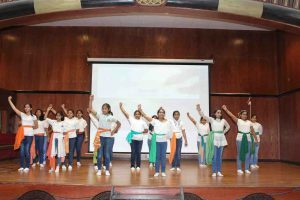 The students energetically performed on the stage through their moves representing patriotism and fervor. The skit enacted on the stage depicted the endeavors taken to dismantle the differences in religions and strived to bring all humans as one. 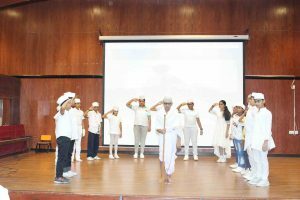 The mime carried out by the children served as the tool to impart the lessons of equality, liberty and identity. 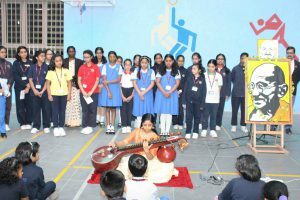 The time enriched them with the words, significance and thoughts pertaining to the essence of the day. The zealous and lively characterization of each individual brought the long gone memories. 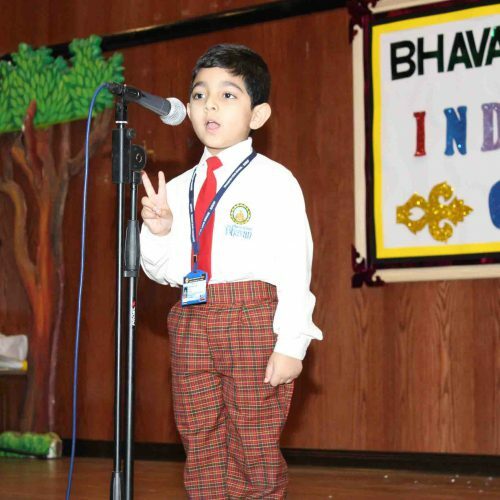 The costume that kids adorned had taken us back to the years of the freedom struggle fighters. 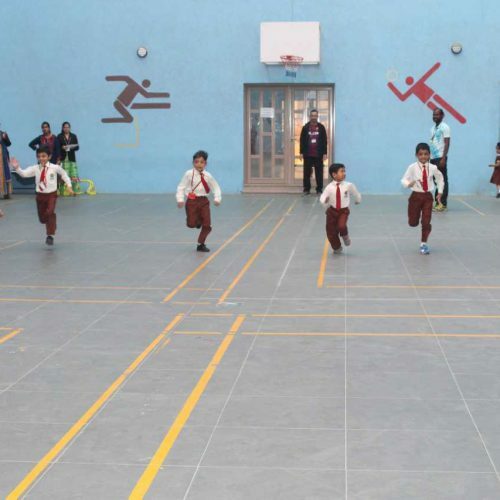 The day turned to be the memorable one in the minds of the children as it gave the best that it could give. 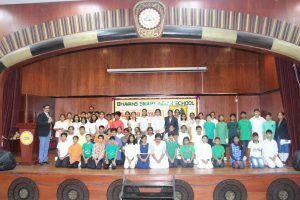 The school Principal addressed the students on the value of being united and motivated them to use these platforms to exhibit their talents.